How much is Travis Pastrana Worth? Travis Pastrana net worth: Travis Pastrana is a professional motor sports racer and stunt driver who has a net worth of $30 million. 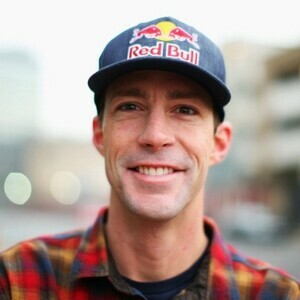 Travis Pastrana earned his net worth through endorsements and by competing in events like The X Games, Red Bull X Fighters, Dew Tour, and Rally America. He has also driven for Nascar in the Nationwide Series. Travis Pastrana was born October 8, 1983 in Annapolis, Maryland. During his career Travis has won at least 10 X Games gold medals and four Rally America championships. As a NASCAR Nationwide series driver he has raced in 29 events and finished in the top 10 four times as of August 2013. Pastrana competed on the NASCR Nationwide Series from 2012 to 2013, the NASCAR Camping World Truck Series in 2012, the Rolex Sports Car Series from 2011 to 2012, the K&N Pro Series East in 2011, and the K&N Pro Series West and Rally America from 2005 to 2010. Pastrana is probably most famous for the many elaborate and risky stunts he has performed as a Red Bull athlete in exotic locations. He married professional skateboarder Lyn-Z Adams Hawkins in October 2011 and they had their first child girl Addy Ruth in September 2013. Their second child girl Bristol Murphy was born in February 2015. Outside of racing, Pastrana hosted, executive produced and created an MTV show called Nitro Circus. The show featured Pastrana's friends traveling the globe performing crazy stunts. 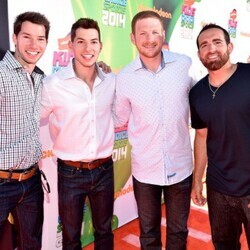 The show was so popular that it launched a traveling tour, 3D movie and spin off series. From 2012 to 2013 he starred in his own TV series On Pace with Pastrana. He has also competed on the NASCAR Xfinity Series and the NASCAR Camping World Truck Series. Over his career he has suffered a number of injuries. Pastrana co-authored the book The Big Jump: The Tao of Travis Pastrana in 2007. He was featured in the 2008 documentary 199 Lives: The Travis Pastrana Story.